Proudly designed and made in Chicago. All pendants come in gold or sterling silver. Erica Michie is a service designer by day and a jewelry designer by night. She finds inspiration in architecture, nature, and Japanese culture. 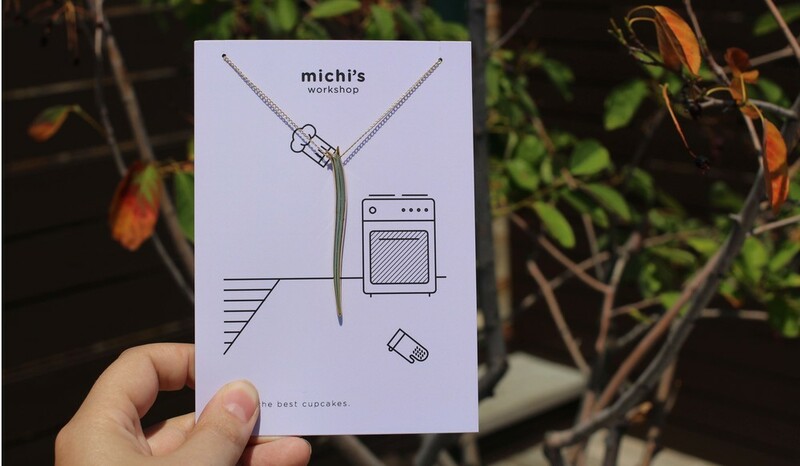 Michi's Workshop was developed in her spare time and has always been an outlet for her creativity. The brand launched in 2016 at a pop-up shop in Chicago. In addition to design, she loves to swim and eat ice cream.